Spurred by the growing interest and enthusiasm for Agile methods of software development, there seems to be an anti-Agile movement taking shape. Blog posts, comments, and articles across the web are downplaying the value of Agile, criticising this iterative and incremental framework. In this post, we look to the bottom of the criticism, especially the Anti-Agile Manifesto and the Dark Agile Manifesto. On the face of it, the Anti-Agile Manifesto sounds like a challenge to the Agile Manifesto. Look a bit deeper, however, and you'll find that it is actually about Scrum. Every one of the Anti-Agile Manifesto points are actually criticisms of the Scrum terminology, not the Agile Manifesto. Terms such as Epics, Stories, Sprints, Stand-ups are all part of a set of terms designed and used specifically for Scrum software development. The Anti-Agile Manifasto suggests that these terms are just marketing speak and have zero value and that there is no difference between Epics and projects. First of all, projects come above Epics in the hierarchy, in other words, an Epic is just part of a project. In fact most Scrum terms work the same way, used to describe different pieces of work, seperating them into smaller manageable pieces based on the time frame it takes to complete each piece. Why? Well, its all about motivation theory and the relationship between motivation and time, essentially its all about how to make the team more productive by creating a sense of urgency. This is also the main purpose of Stand-ups and timeboxing. Besides this one example, software experts who deemed the Anti-Agile Manifesto worthy of their time have explained in several articles that they generally believe this manifesto is in fact a misunderstanding of pretty much everything that Agile stands for. Considering it misinformation, some went on to debate the Anti-Agile Manifesto's points, while the majority has chosen to simply ignore the document. In fact, the antiagilemanifesto.com website has since gone offline, which goes to show that this document wasn't able to garner much attention. The Dark Agile Manifesto, on the other hand, deserves more of our attention. It is the work of two academics investigating Agile development from a software engineering perspective. These experts believe that Agile has gone through the Gartner Hype Cycle, meaning that all the miraculous stories of Agile success have inflated expectations about this method. The authors, however, are not against Agile: they claim that the application of quality improvement could actually help make Agile into a mature, superbly successful method of software development. The Dark Agile Manifesto was published in 2012, and Agile has come a long way since then. Most software experts claim that it has seen grown into maturity. 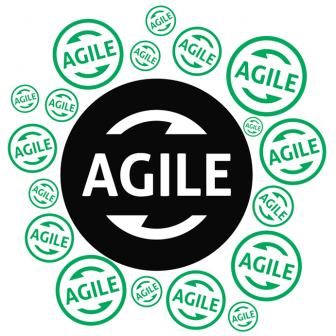 With Agile now increasingly being used in safety-critical development, quality is less and less of a concern. That said, the use of suitable tools to support this focus on quality in an Agile environment is still vital. Pro tip: Find out how global medtech giant Medtronic used codeBeamer to support its Agile transition! 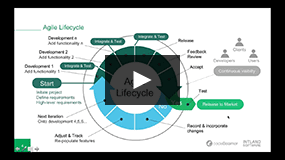 As a holistically integrated, lifecycle-wide, and fully Agile tool, codeBeamer ALM supports development with Agile, Waterfall, and Agile-Waterfall Hybrid methods. Global enterprises in safety-critical industries including medical device development, automotive and avionics systems development, and pharma project management use codeBeamer to support their Agile processes. To learn more, contact us or start your free trial.